At first glance it appears that Northern California’s coastal redwoods are out of reach for wheelchair-users and slow walkers. After all, these majestic giants are located in some pretty remote areas. 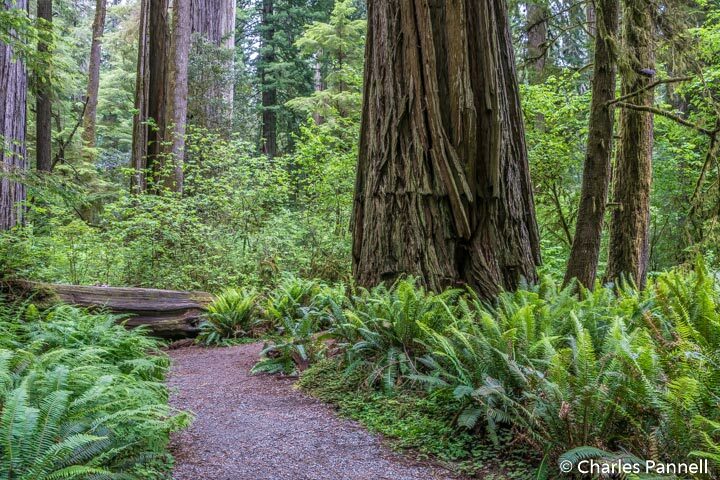 Granted, many redwood groves present some formidable access barriers; however these three coastal stands offer a nice selection of accessible trails, picnic areas and even camping cabins. Located about 325 miles north of San Francisco, Redwood National Park (www.nps.gov/redw) is the perfect starting point for any accessible redwoods road trip. Although the drive through the park offers some stunning windshield views, the Lost Man Creek Trail is also worth a stop. The trailhead is easy to find — it’s off of Highway 101, 10 miles north of Orick, at the end of Geneva Road. There’s accessible parking near the trailhead, next to an accessible vault toilet, with level access over to the trail. This former logging road is wide, level and free of obstacles for the first half-mile. After that the grade becomes steeper and there are rocks and other obstacles along the way, until the last bastions of access are obliterated at the ¾-mile point. Still, it makes a lovely out-and-back one-mile hike. Additionally, there’s an accessible picnic table on a level dirt pad near the trailhead, so bring along a lunch and enjoy your repast in the shaded grove. It’s the ideal way to top off this very accessible hike. Trees of Mystery (www.treesofmystery.net) — which is located 10 minutes up the road in Klamath — is another must-see along Highway 101. 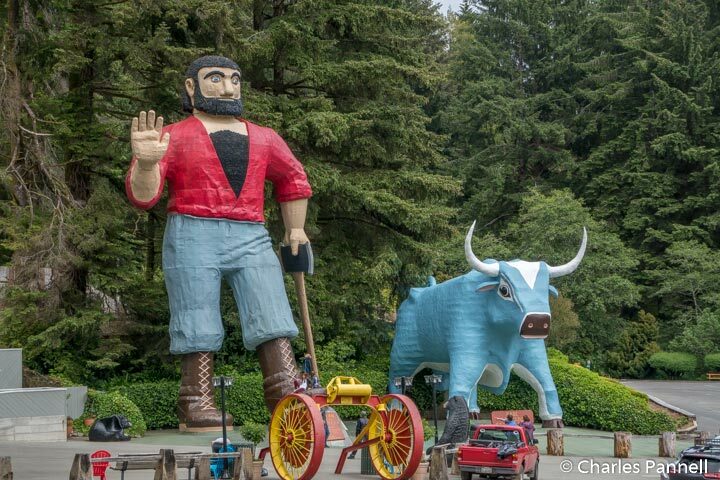 You can’t miss it, as a giant statue of Paul Bunyan and Babe the Ox mark the site of the kitschy yet cool roadside attraction. There’s plenty of accessible parking in the large lot, and barrier-free access over to the gift shop and ticket booth. The main attraction at this site is the Sky Trail, an aerial tramway which takes visitors on a scenic journey through the tree tops. 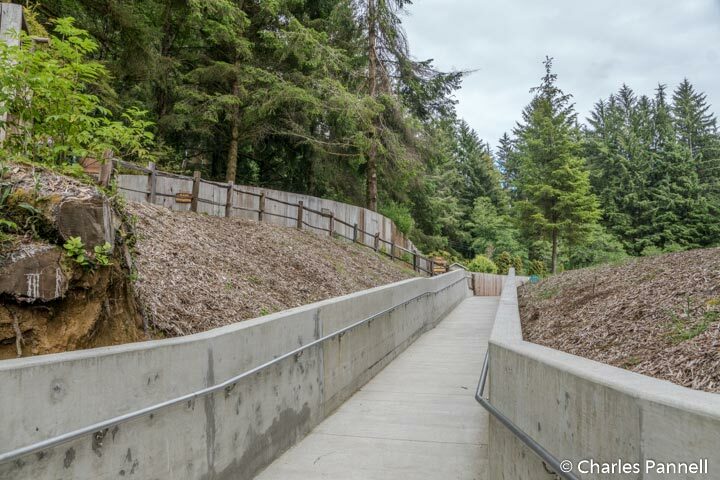 There is a .8-mile trail that leads from the parking lot up to the Sky Trail station; however it has a steep grade and a substantial cross slope in a few places, so it’s not a good option for wheelchair-users and slow walkers. Alternatively, accessible transportation in a lift-equipped vehicle to the Sky Trail station is available for anyone who can’t manage the trail. There’s ramped access up to the Sky Trail station, with roll-on access and plenty of room for a wheelchair in the individual gondola cars. From there, it’s a seven-minute 1570-foot descent back down to the lower station. Be sure and stop for a view from the adjacent observation deck before you board though, as the bird’s eye perspective is magnificent. And when you reach the lower station, treat yourself to some fudge or ice cream, and take time to browse through the gift shop. It’s a fun stop and definitely a unique way to experience the coastal redwoods. Last but not least, plan to stop at Jedidiah Smith Redwoods State Park (www.parks.ca.gov/?page_id=413), located about 45 minutes north of Klamath along scenic Highway 199, near Crescent City. One of the highlights of this park is the accessible Simpson-Reed Discovery Trail, which can be found near the end of Walker Road, off of the main highway. Accessible parking is located next to the accessible vault toilet, near the trailhead. This one-mile loop, passes a number of fallen giants as it weaves through the forest and along the Smith River. It’s a very pleasant — and accessible — stroll. 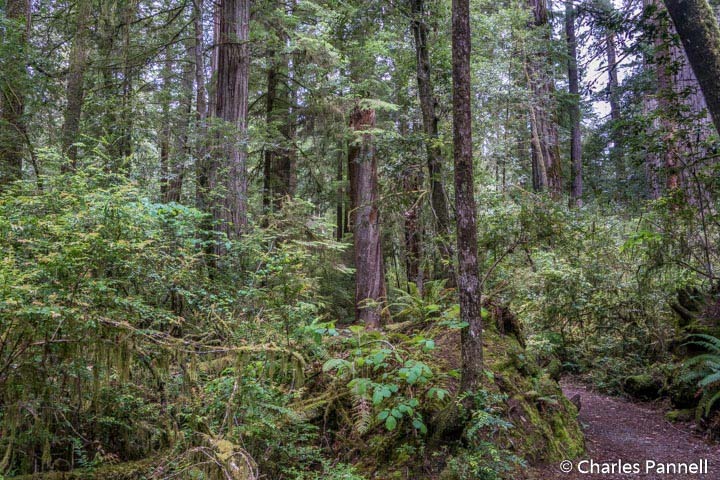 Save some time for a short walk along an equally accessible nature trail, down Highway 199 near the campground. Head right at the campground turnoff, and follow the signs past the ranger station to the day-use area. Accessible parking is located just past the self-registration kiosk, across from the picnic area. The short nature trail heads through the hike-and-bike campground to the river, but unfortunately due to tree roots and other obstacles, the access ends there. Still it’s a nice .6-mile out-and-back hike, and there’s also an accessible picnic table in the riverside picnic area. Additionally, if you’d like to overnight in the park, all four of the camping cabins are wheelchair-accessible. They are pretty basic, but they have plenty of room for a wheelchair or a scooter. Each of the one-room cabins is furnished with two bunk beds — with a double on the bottom and a single on top. They don’t have any mattresses, so bring along an egg crate or an inflatable bed for optimum comfort. There’s electricity in the cabins, but they lack bathrooms; however a wheelchair-accessible restroom and shower are located nearby. All of the cabins are equally accessible, but J26 is closest to the accessible restrooms. Reservations for the cabins can be made at www.reservecalifornia.com. 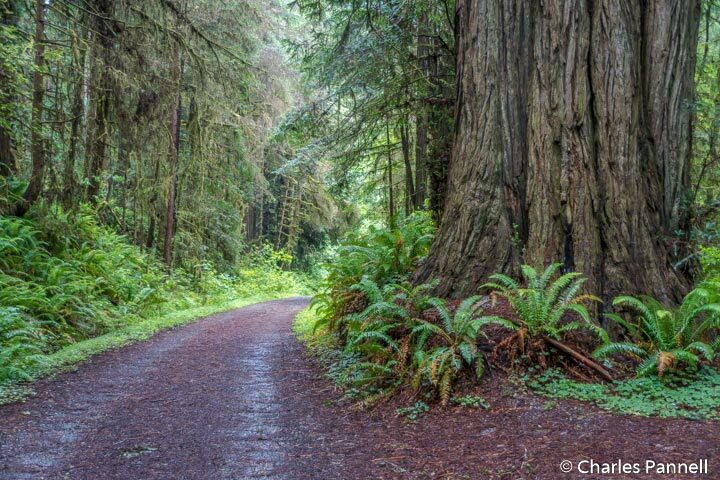 So if sleeping is the redwoods is your dream, rest assured it is a realistic possibility at this Northern California state park.